UPDATED: Thu., March 16, 2017, 6:06 p.m.
WASHINGTON – U.S. builders broke ground on new homes at a faster pace in February, a sign that developers expect solid sales growth this year despite higher mortgage rates. 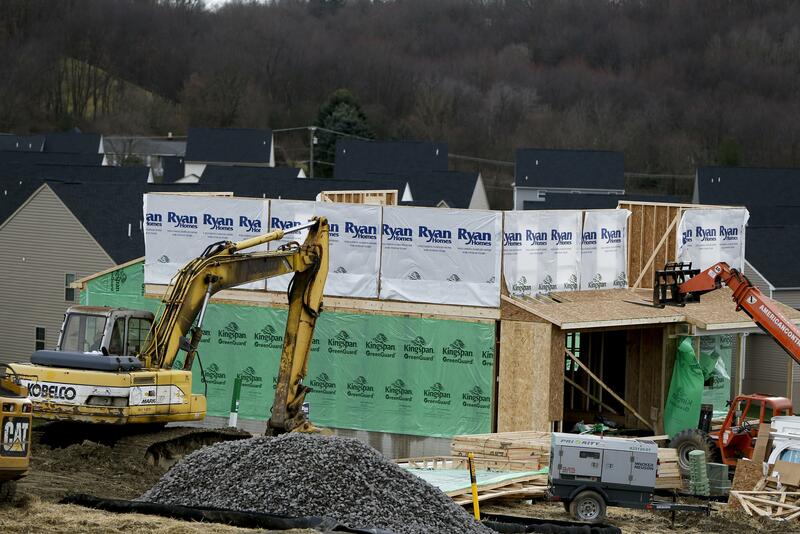 Housing starts rose 3 percent last month to a seasonally adjusted annual rate of 1.3 million, the Commerce Department said Thursday. Almost all of those gains came from construction of single-family houses, which rose 6.5 percent. Construction of apartment buildings fell 7.7 percent in February. More Americans are looking to purchase homes as the job market has improved, but the supply of properties for sale has been relatively low even with additional construction. The increase in construction starts points to greater sales this year even though mortgage rates have climbed upward from recent lows, making monthly housing payments higher and hurting affordability. Housing starts are running 7.5 percent higher than they did during the first two months of 2016. Builders last year started the most new homes since 2007, the year the Great Recession began as the housing market began to teeter. Construction surged last month in the West, offsetting declines in the Northeast, Midwest and South that were largely caused by a decline in apartment building starts. Still, growth in home building also appears to be tempered. Building permits–an indicator of future home construction–slipped 6.2 percent in February to an annual rate of 1.2 million. Builders have been adding supply to the market, just not enough to address the tight inventory of existing homes that make up the bulk of the real estate market. The National Association of Realtors has reported that the number of existing homes on the market is near its lowest level since 1999, while the inventory of new homes on the market is near an eight-year high. Demand among homebuyers has been strong as the unemployment rate has dipped to a healthy 4.7 percent. Yet buyers will likely borrow at higher rates than last year, a factor that could restrict the extent of price and sales growth. The average 30-year fixed rate mortgage had a 4.21 percent interest rate, mortgage buyer Freddie Mac said last week. This marks a steep increase from a 52-week low rate of 3.41 percent. Published: March 16, 2017, 4:18 p.m. Updated: March 16, 2017, 6:06 p.m.